Why conditions are no longer working on my form? When I select both I will and I will not return, the only info that appears is the zip code. This is a conditional question, but the conditions are no longer working as they did in the past. 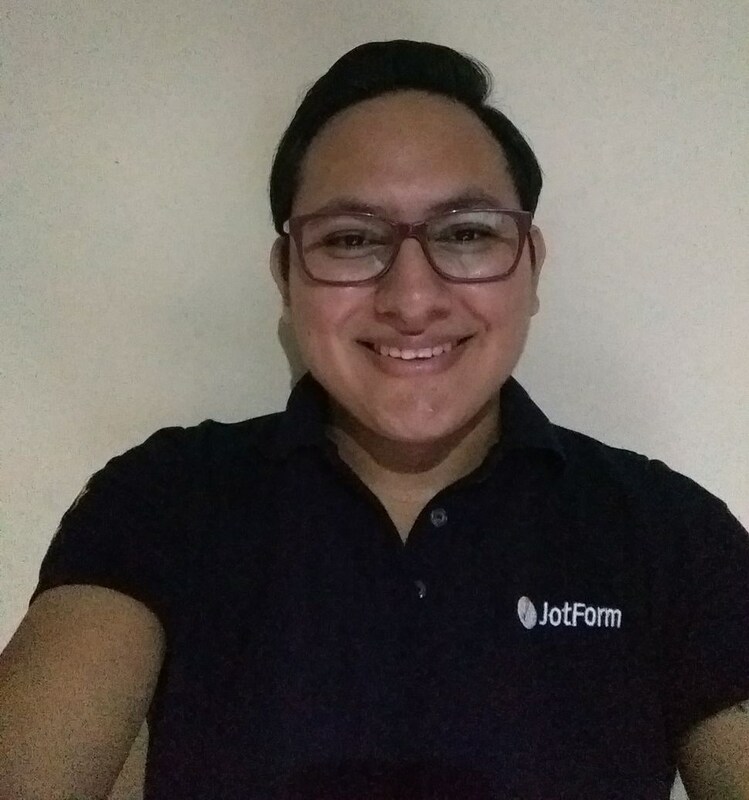 Please, do note that if you have updated the options in your check boxes or radio buttons, you need to also update the conditions on your form in order to reflect the correct and updated options. If after correcting your conditions you cannot see them to work as expected, please let us know. 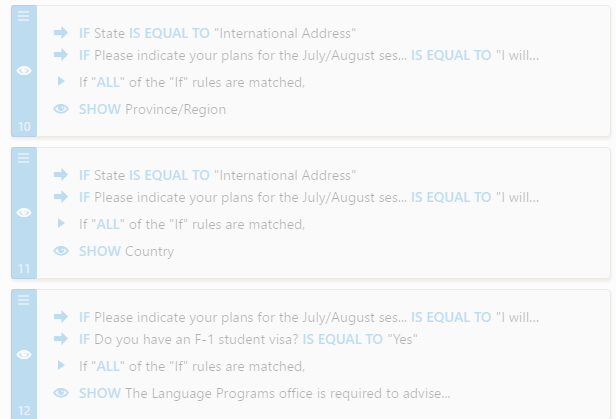 On this form, if the answer under Program Info is "I plan to return", "The Language Programs Office...." and the buttons underneath should not appear. Nor should they appear until "I will not return" is answered. 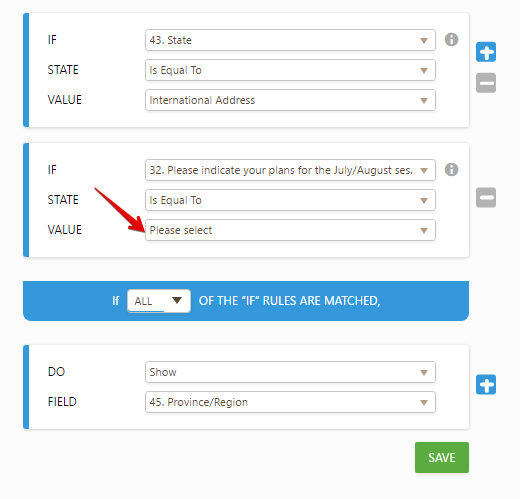 What I have noticed is that the fields "Province/Region" and "Country" are showing up even when there are conditions related to them; however, upon checking both conditions I can see they still have missing values on the conditions statements. Please, fix these conditions and test them again, they should work as expected as you noticed on my screen-cast above, your other conditions are working fine. I have submitted 2 screenshots showing the conditions I have. They appear to dispute the screenshot you provided showing I am missing some values. Please tell us which fields are supposed to be displayed when the 'I plan to return for the July/August session and will pay my tuition by Friday, June 2.' 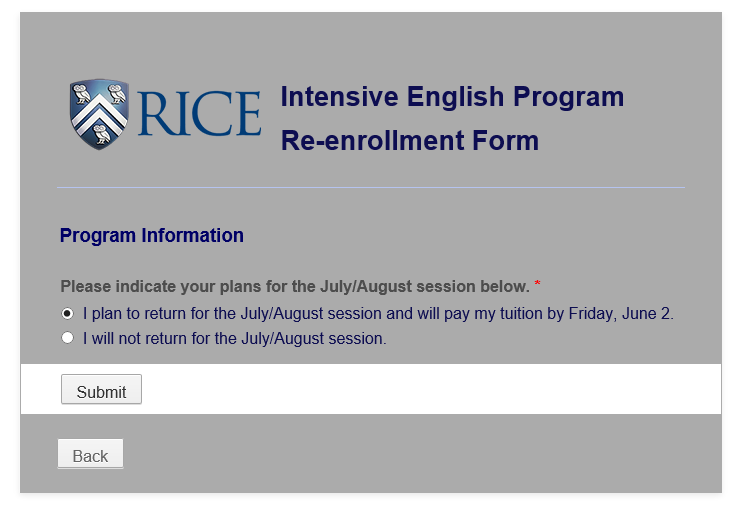 option is selected and which fields when the 'I will not return for the July/August session.' option is selected, so we will be able to check the conditional rules. I have checked the conditions on your form and I now can see what you're referring to, when I check the option "I plan to return for the July/August session and will pay my tuition by Friday, June 2" on the field "Please indicate your plans for the July/August session below" I can see the "The language program office" field still displays even when there is a condition to hide it. 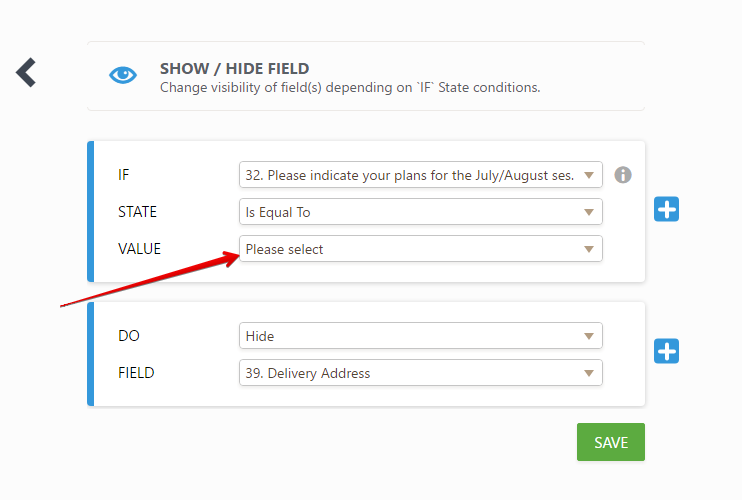 However, I have checked all of your conditions and found still some of them showing the missing field while editing the condition, this may have happened since the options you previously had were modified or removed from your fields. I would suggest you to update them in order to get all your other conditions working fine too. 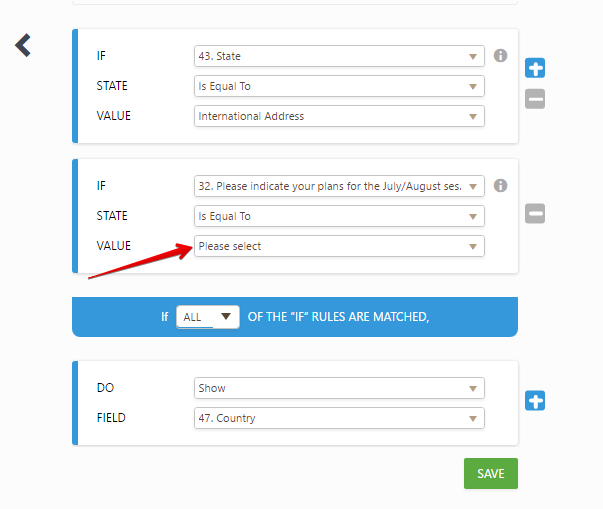 Please, go to the conditions wizard and place the mouse over the mentioned conditions, click on the edit button and you will see the "Please select" in the statement value, set the correct option and test your form, it should be working as expected.